Delivering Sustainable solutions that fundamentally transforms disadvantaged communities. Without water nothing can grow. using access to clean water as foundation, Aqua-Africa transforms East Africa's communities by delivering lasting developmental solutions. Turning on a faucet is easy. Fetching water from miles away just to survive is not. Since 2011, Aqua-Africa has drilled twenty-two wells in South Sudan and constructed two water towers, and as a result saved residents thousands of collective hours manually transporting water. In the villages we’ve touched, those hours are now spent attending school, growing crops, and organizing elections. Our workshop programs lead to healthier, more sustainable communities. We start by providing access to clean water. Because without water, nothing can grow. Buey was born in South Sudan in a small village called Maiwut. 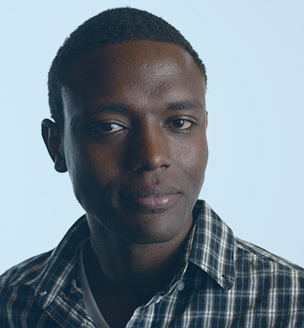 Along with his family, Buey immigrated to the United States as a refugee at the age of 11. While attending University of Nebraska Omaha, he and his childhood friend, Co-Founder Jacob Khol, decided they wanted to help their homeland. They founded Aqua-Africa with plans to transform the way in which aid is administered to underdeveloped nations. After three years of continuous research, they decided to invest in a complete development program for South Sudan. Buey is a graduate of University of Nebraska Omaha, where he majored in Economics and Political Science. Wiyual was born in Upper State (Nasir), South Sudan. At the age of 12, Wiyual migrated to the United States. 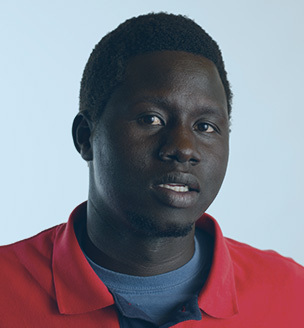 He arrived in 1998 with his uncle, leaving the rest of his family behind in South Sudan. After a short stay in Salt Lake City, Utah, Wiyual and his uncle’s family moved to Omaha, NE. Wiyual attended both grade school and high school in Omaha. Upon graduating high school, Wiyual attended Wayne State College in Wayne, Nebraska. He obtained his Bachelor of Science in Construction Management, and minored in Construction Safety. Wiyual now serves as the Director of Field Operations in charge of strategic planning and implementing of programs and services. A childhood friend of Buey, Jacob was also born South Sudan. He immigrated with his older sister at the age of 12. 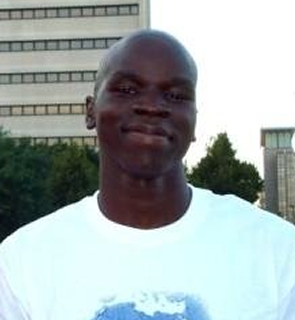 While attending Northwestern, Jacob worked with Buey to develop a plan to provide development to South Sudan. After graduating with a degree in Psychology, Jacob devoted his time to building Aqua-Africa. Jacob trusts in the “Key 3” concept and believes it will revolutionize how development is administered.